With the growing array of social media websites out there, including Facebook and YouTube, there is now a seemingly infinite source of leads for any business. Hundreds of millions of people browse social media websites on a daily basis, and this new fact of life should be taken advantage of by any business person or companies that wants awareness or exposure for their product/service. While there are many other strategies to gain exposure, social media marketing strategies tend to be a very attractive one, because of the simple fact that it is completely free, and the results can be seen very quickly. So, how do you expose your business via social media? Here are the best ways to compound business with social media effectively! When planning to market your business online, it is imperative that you know the three different forms of social media websites out there. Each of these three have their own pros and cons. Hence, a thorough investigation must be done before proceeding. The first type is called Profile and Friend-based websites. This is your typical Facebook or MySpace. Such mediums are ideal for traditional marketing, since members of the community share tons of data with their peers. They provide the opportunity to target certain demographics that best fit your product or service. The second type is known as Chat, Game, or Interaction websites, which are ideal for marketing other websites, games, applications, or direct download files like wallpapers or ringtone. Last but not least is content sharing websites like that of YouTube and Pirate Bay. These sites are well suited for artists who want to market their art, music, film, etc. Look for a small pond and be the big fish. Don't attempt to conquer the vast expanse known as cyberspace. It is an impossible journey to achieve, even more so to maintain. Always revolve your marketing around a small, yet highly targeted group. Having a tighter group of social media patrons will provide you with the best chance of growing and nurturing lifelong partnerships with clients. Become the "go-to" guy in a smaller community of highly-targeted leads to give you a better leading edge for social media success. You could literally spend all day everyday on this project, and still have work to do. Although it is a great idea to learn slowly but surely, most businesses do not have enough time, labour, or interest in allotting so much of their resources into one particular aspect of business. Some businesses may want to focus more on the technical areas of their business, such as improving their products or services. Devise a time plan that limits your social media marketing to a daily or weekly total without impeding you from doing other important tasks - especially because social media is not everything. It has a lot of hype, but the real world still exists! Communication is key to social media marketing success. Merely placing a blog post or setting up a Facebook fan page won't do much for you if your visitors sense the flow of communication is only one way. Not interacting with your visitors is generally the most common mistakes that halts the growth of a virtual community. Exposure is vital for any business or company dreaming of success and profit. But to get exposure, one must earn it. Using social media strategies, both entrepreneurs and marketers can build exposure for their brand, products, or services in a faster, more efficient and highly specifically way. About The Author: Melissa Rodgers writes about social media, business and more. Did you find this article helpful? Please let me know by leaving me your valued comments below. SEO success starts at the web development stage. 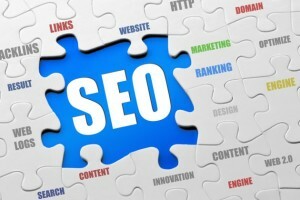 SEO (Search Engine Optimization) requires more tech than the repetition of a few key words. Search engines rely on "spiders" to crawl through "links" to create individualized databases, like file cabinets, of topics. Spiders cannot crawl where there are no links. The key to SEO success starts with your Webmaster interlinking the entire page using appropriate links, key words and title tags, including succinct meta descriptions. The best way to ensure good linking is to format important content, as well as links, in HTML. Java and Flash are ignored by spiders and are therefore not serving to optimize your SEO. Links should always lead back to the home page and therefore connect the entire site; if a person can't easily navigate a web page, a spider won't be able to either. Conversely, keep the links to a minimum; spiders cannot traverse every link available. Also, search forms to link to information within the site only serve to help the human reader who has already found your web page, not the spider who will serve to up your site's frequency. Key words are important for the spiders to find your article, but also for the reader to choose your piece to reference. Do not choose ten key words and expect a high ranking; SEO is not shooting fish in a barrel. Instead use one key word and focus on developing its importance, starting with the title. The key word should always be featured in the title tag, preferably as close to the first word as possible. Using the key word frequently throughout the article will up its frequency and therefore the likelihood that a spider will recognize and retrieve it. Also, urge your Webmaster to feature the key word in your URL. Abusing key words will ultimately bog down your article's message as well as make it irrelevant to many readers. A title tag, as mentioned before, is vital to search engine marketing. The title tag appears in three key places: the browser, the search engine page and other websites. Besides the content, an appropriate title tag is the most important thing your Webmaster can create for SEO. Your title tag, which should always include your key words, should be less than 70 characters and give relevant information regarding the featured content. The title tag's support system is the meta description. This synopsis should also contain your key words, which Google will "bold" in your key word search. A compelling description will draw more click-through traffic to your page. Search engines usually only display the first 160 characters, so keep it succinct. By educating yourself on the importance of excellence in linking, key words and title tags, you can make sure your web site's success starts in the development stage. About The Author: David Wolfskehl is an author, speaker, and consultant for professional service providers, attorneys, and CPAs. He is the creator and author of "The Micro-Niche Method" and often speaks to businesses of all sizes on the topics of niche business development. Did you find this article helpful? Please let David and myself know by leaving us your valued comments below. Until the next post on Friday, have a fabulous Christmas! Google launched its new Disavow Link tool on October 16, 2012. The new tool allows webmasters to ask Google not to consider specific in-bound links when ranking a site. Disavowing links can help sites recover from Penguin penalties. 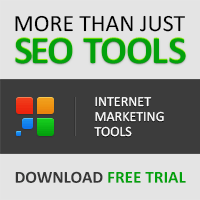 Overuse of the tool could also cut a wide swath through your search engine optimization results. 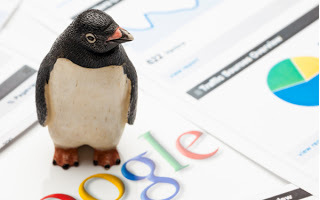 Google's Penguin algorithm targets artificial and aggressive link-building tactics. Sites with large amounts of low-quality, spammy or artificial-looking in-bound links took serious hits to their search engine ranking and traffic because of Penguin. Such links suggest paid links or attempts to manipulate page rankings through links. Websites hit by Penguin receive a bad-link warning and ranking penalty. Webmasters can appeal Google's decision by removing poor-quality links and then asking for reconsideration. This usually involves contacting other websites and asking them to remove the link. Unfortunately, not all websites remove links on request. 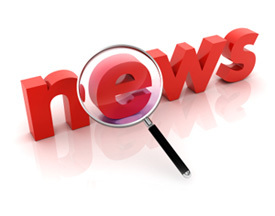 If the site doesn't receive regular attention, your request may not reach the webmaster. If the site benefits from the link in some way, it may avoid complying with your request. Low-quality links you never requested may be a sign of negative SEO, where a competitor uses spammy links to damage your Google standing. Such attacks are very rare but do occasionally occur. If low-quality links continue to plague your SEO, you can use the Disavow Link tool to request Google ignore the link when the search engine evaluates the site. Google notes that the tool is not a cure-all; you should still work to have unwanted in-bound links removed. The Disavow Link tool does not ensure Google will ignore the link. You're asking Google to ignore the link, not demanding. Google will consider such requests but will use its own judgment when reviewing disavowed links. 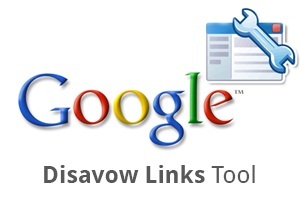 Think of the Disavow Link tool as a band saw. The tool is powerful, useful and if used incorrectly you're going to wind up missing a limb. Most websites won't need to use Disavow Link at all. Only consider disavowing links if you've been hit hard by Penguin, received a bad-link warning, or been penalized by Google for poor link quality. Why be cautious? Even low-quality links can improve your SEO. Unless you're working closely with an SEO company, you could disavow links that actually help your page ranking. Overuse of the Disavow Link tool could damage your SEO as much as low-quality links, so pick the links you disavow carefully. One last warning. Whatever you do, don't disavow internal links. Doing so will really confuse Google, as you're saying your own pages provide low-quality links and should be avoided. Like trimming fingernails with a band saw, that's not going to end well. About The Author: Carl Glasmyre is an aspiring writer. He's passionate about a variety of subjects including technology, marketing, and anything Internet-related. He's constantly striving to strengthen his writing skills and is continuously grateful that the Internet allows him to share his thoughts with the world. Did you find this article helpful? Have you used Google's Disavow Link tool? Please let Carl and myself know by leaving us your valued comments below. Most small businesses are using social media to market their products or services, and nearly half of those businesses aren't paying a penny for it. Considering the opportunities offered by social media venues, it seems that any small business would be remiss not to take advantage of them. The problem is that you can't blindly use social media marketing to help grow your business. You must use it in a way that's effective for your particular business without overusing it. Finding the proper balance and usage techniques can be a challenge; these tips will help you learn how to use social media marketing effectively to leverage more business, instead of obnoxiously turning potential customers away. Observe Social Media Etiquette. Each social media venue, such as Twitter, Facebook and Pinterest, comes with its own etiquette. The overlaps in etiquette involve avoiding spam, responding to followers who comment and returning the favour when other users post about or promote you. Take a few moments to become familiar with the etiquette guidelines of each social media venue you use so you don't unknowingly turn people off. Post Consistently and with Value. Drive-by posting and spam-filled posts will cause you to lose the interest of potential followers faster than you can write your next tweet. Use social media marketing at least three days per week to make your efforts consistent. Know your intended audience and post information, images and/or tutorials that would be of interest to them. If you're not sure what your followers want to hear more about, ask them. Interact with and Respond to Followers. Social media is about connecting and interacting with others. Take time to respond to followers' comments and questions. Get the conversation started by asking questions yourself. Engaging in conversation allows you to build relationships with consumers, which can help you build your business. Make it Professional. Even if your intended audience is teens that comment and post in text slang, keep your social media language professional as you gear your content to them. It's important to reach your audience where they're at, but you also want to be taken seriously by them. Know Your Followers. If you don't have a professional researching your demographics for you, you've got to invest some time in knowing who your customers and followers are. This will allow you to post social media updates that speak to their needs and interests so you can captivate their attention. Small business owners use social media marketing because it's inexpensive, easy to use, requires little time and paves the way toward increased communication with customers. To make it work for you, you must approach your social media marketing efforts as conversations and ensure that what you're talking about is of interest to those whom want to listen. Follow these tips to streamline your online marketing efforts so you can gain more followers, convert them to customers and draw them to your website or brick and mortar. Above all, be consistent, professional and interactive to avoid coming across as yet another obnoxious small business. About The Author: Lucy Harper works for Touchpoint Digital, a full service internet marketing company. Visit us to help facilitate your digital marketing and communications goals. Did you find this article helpful? Please let Lucy and myself know by leaving us your valued comments below. It cannot be denied that millions of websites were severely affected by recent Penguin update. Google's Penguin move is viewed as evil by thousands of web owners and bloggers all over cyberspace. On the contrary, it is also a positive although stringent approach to clean sites that have been filled with spammy articles and have used keyword stuffing deliberately to achieve page rankings. It's time to go back to the drawing board and start a new using these 5 helpful tips to recover from recent penguin update. This is your first step to rehabilitation which involves producing quality content that can go viral. 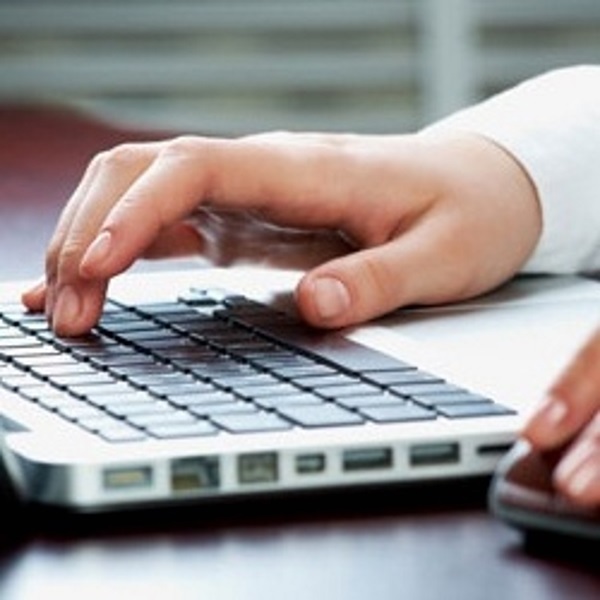 Linkbaiting using catchy phrases can help generate organic traffic for your site. In order to be viral, you must know trends and latest updates on the niche you promote. Google will certainly appreciate the natural growth of your web pages. 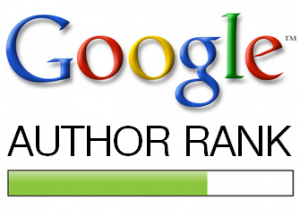 Remember, Google doesn't rank websites, it ranks pages so ensure quality content for each page. It is impossible to remove all bad links but you can minimize them. Links that connect you to bad sources diminished your site's reputation; hence, this also tells you to be more cautious with link building next time. You can also use tools that help you trace outbound and inbound links. Even spammy comments and posts by bloggers on your site must be removed. Search for sites similar to yours which have high reputation. Try to invite these bloggers to guest blog on your site. It would also be wonderful to do the same for them to establish authority and attract new leads. Plus, you can build new relationships that can give your site more leverage. Make sure that your content offers something new or fresh to the audience. Get more creative and do your homework on keywords. Research on high value keywords with low or medium competition. Make sure that these keywords are highly relevant to each page on your site. Redundant use of phrases will definitely put you on a bad light. Yesterday's practice was over optimization of sites that involved high keyword density. Today, Google's Penguin says "less is more". There are tons of reputable directories for article submission like Ezine that can promote your site well. Niche directories and blog directories should also be your target. Keep an eye on incoming links to your site because the sources matter. You can also try government or educational institutions for quality link building although it's a long shot goal. Aside from the given tips, there are still many pitfalls to avoid. But as a general rule, you can play safe by creating your site for people not for algorithm purposes. When readers love your content, products, or services, you can generate massive amount of traffic. 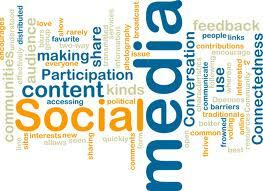 You can also explore social media networking for establishing business relationships and positive online presence. Recovering from Penguin update is not really that difficult as long as you're willing to make some changes. 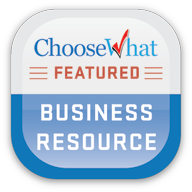 About The Author: Jason Smith is an online consultant. Jason likes blogging about online strategies that are related to SEO, Content, PPC and Lead generation. In his free time he likes to study about web designing and practice Jiu Jitsu. Did you like this article? Has your site been affected by the recent Penguin update? Please let Jason and myself know by leaving us your valued comments below. It has been a crazy (and I do mean "crazy!") few weeks here which again, has prevented me from doing my normal blogging routine. Not only has my blogging suffered from this busy period, but everything else. I won't go into detail (as it would take far too long) but it will literally take weeks to get back to normality, especially with Christmas just around the corner. Thankfully, this busy period is now well and truly over and I'm pleased to announce that normal blogging will resume next week. I hope, if all goes to plan, to get a few posts published on the blog just before the Christmas break. If you have been inquiring about guest posting or advertising on the blog over the past couple of weeks, expect to receive a reply to your emails over the weekend. P.S. If you are interested in guest posting, submitting articles or advertising your products and/or services on the blog, please don't hesitate to contact me using the Contact tab above.